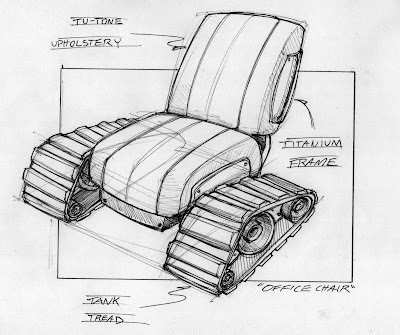 Sam requested an office chair with wheels. He did not, however, say those wheels couldn't have tread on them. Sweet, no arm rests! Makes it easy to play guitar. Nice one bruv!